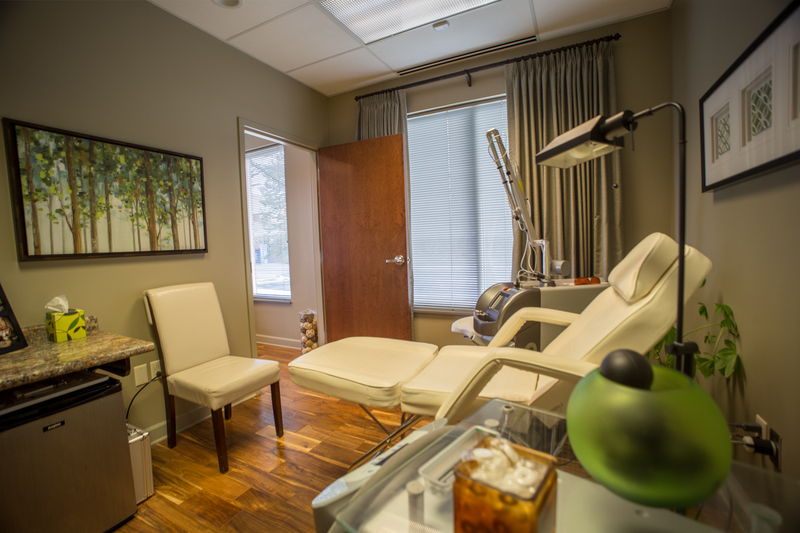 Skin Renew Laser Tattoo Removal is excited to announce a relocation of their Carmel offices. The new location will be just two miles north of their current location at 1200 West Carmel Drive in Carmel, Indiana. Skin Renew is delighted to join Method Salon, Clarity MD and The Dragonfly Center in their newly renovated space beginning on March 1st. The addition of Skin Renew to "1200 West" means that clients now have access to a complete, “one-stop” wellness center right here in Carmel. “The vision of this new wellness center is simple. Now a person can walk in and have multiple transformational services performed and literally walk out “renewed” into their next, better version of themselves”, says Stacey Blanton, Owner of Skin Renew. Skin Renew recognizes the importance that tattoo removal plays in helping clients feel better about their appearance. This new location will continue to foster a judgment free environment of self-betterment and healing. Skin Renew changes lives and renews self-esteem one treatment at a time. In addition to their new location, Skin Renew has invested in the groundbreaking, Quanta Q-Plus C as the most effective and safest laser treatment available. The Q-Plus C is the only laser on the market that combines Q-Switched Nd: YAG and Ruby lasers. This advanced laser technology is specially engineered to shatter ink better and remove colorful tattoos in the fewest number of treatments possible. Skin Renew specializes in removing multicolored unwanted tattoos. They offer complete laser tattoo removal or can fade ink in preparation for a cover-up. Their deep appreciation for and strong relationship with their clients give them the advantage over other tattoo removal clinics in the Indianapolis area. A certified and trained laser technician performs all tattoo removal laser treatments. Skin Renew offers free consultations to all patients and attractive pricing packages to make sure each client's needs are met. For more information on tattoo removal and fading, visit http://www.indyskinrenew.com or call 317-848-7546 (SKIN). The Q-Plus Series of devices set the standard by which all other tattoo removal devices are measured by having 3 true laser wavelengths in one device (Nd:YAG 1064/532 & Ruby 694). These 3 wavelengths provide treatment on a wide spectrum of ink colors including: dark blue, black, red, orange, yellow, purple, blue, sky blue, green and violet inks.